In a saucepan, cook the ham, carrots, leek and onion in the oil, without browning, for about 10 minutes. Add the cabbage and cook for about 5 minutes, stirring frequently. Add the wine and reduce for about 2 minutes. Add the broth and squash and bring to a boil. Cover and simmer gently for 30 to 40 minutes. Add the beans. Season with salt and pepper. 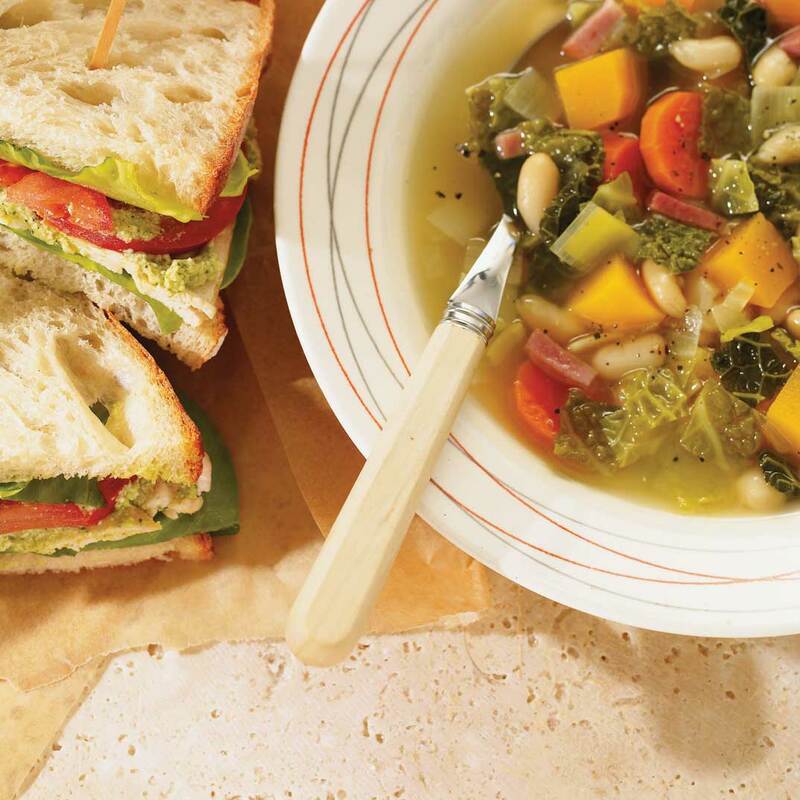 Serve the soup with the Grilled Chicken Sandwich. Made this exactly as directed and while my boyfriend loves it, I'm a little disappointed - the Savoy cabbage doesn't hold up well after the simmering - turns a yellowish green - the rest of the ingredients worked well - going to make it again using Tuscan Kale (in keeping with the northern Italian theme) - I'm sure I'll like it much more! 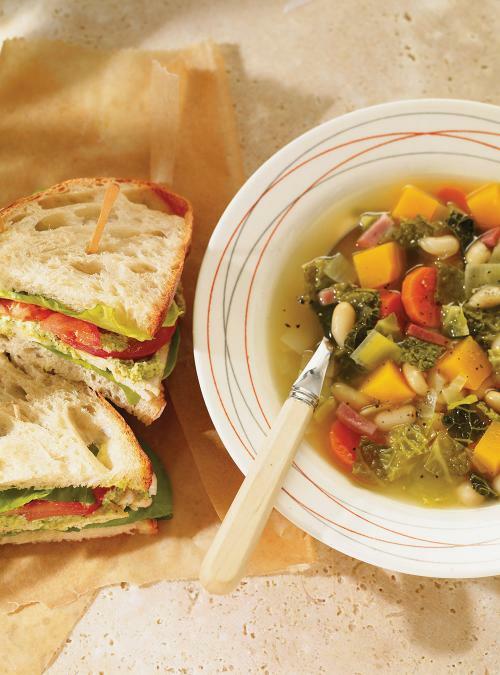 Perfect soup for a cold winter’s night!